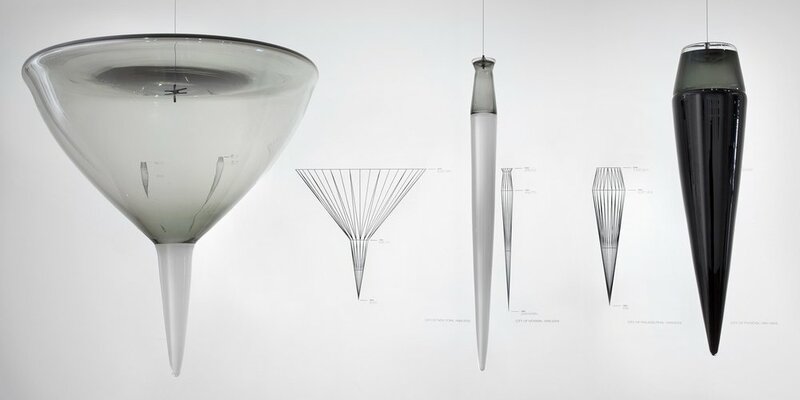 The installation Cities: Departure and Deviation is comprised of 24 blown-glass forms based on three-dimensional rotations of statistical data for major urban centers in the United States. Each individual piece explores the speciﬁc history of its namesake city – tracking shifts in population growth and decline relative to their dependence on the expansion and contraction of local industry. 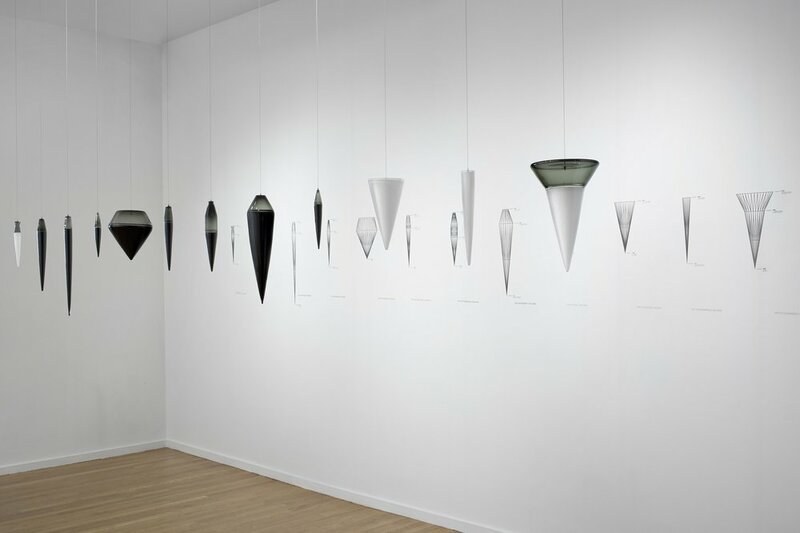 The blown-glass objects, created entirely in shades of clinical white, black and gray, reference the weight and precision of hanging plumbs and the precariousness of spinning tops. In the installation they are paired with digital renderings, which originally served as working plans for the glass pieces. They provide a timeline deﬁning connections and drawing comparisons amongst cities. Reminiscent of typology charts used by historians and archeologists to classify ancient vessels, the renderings are created with digital programming currently used by industry. 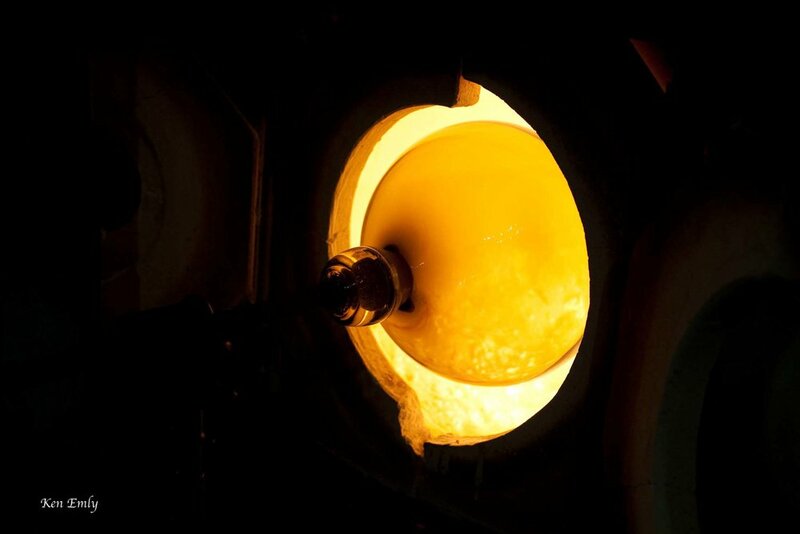 Viviano uses contemporary technology and a formal vocabulary to impose on the hand-blown nature of each object. The analysis of the rise and fall of populations in American cities over nearly 400 years is a visually striking statement about the geographical, historical and cultural factors affecting our urban landscape. 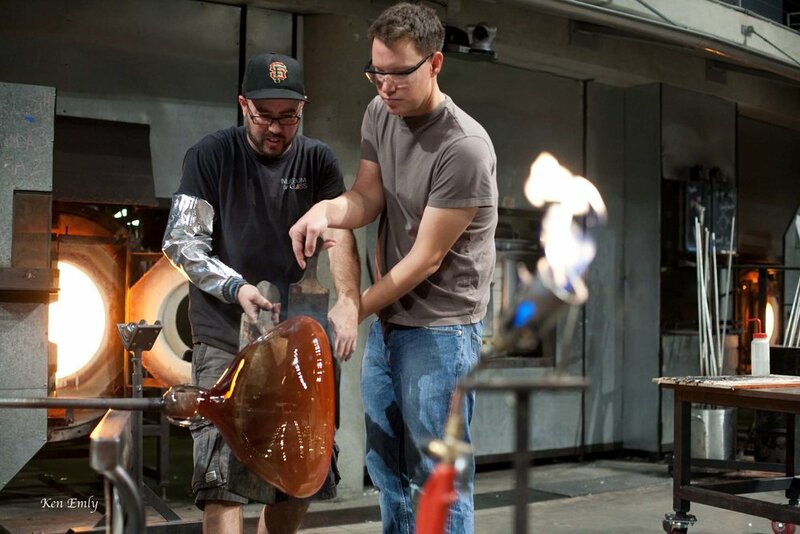 Visiting Artist Residency Project, Museum of Glass, Tacoma, WA, November 2010.